The advancement of contemporary technology is changing the way we study the world around us. The way we describe and understand cities is being radically transformed, along with the tools we use to envision and impact their physical form. In addition, these new technologies allow us to understand the built environment differently. The city is no longer a static collection of built objects, but can instead be understood as a series of social, environmental, and technological networks. 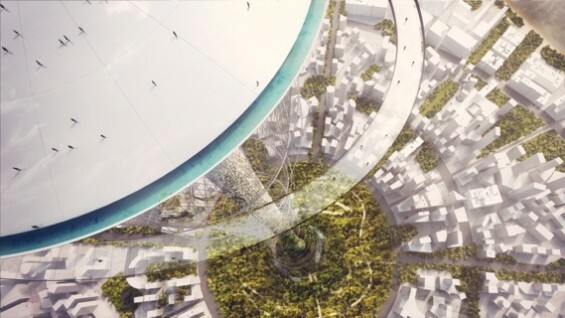 Can this new knowledge positively impact the city of the future? Can these technologies allow us to rectify the mistakes of the past? What new possibilities exist within the creative use of these technologies? The MIT Club of New York invites you to join us for a conversation on the future of cities and design with Carlo Ratti, Director of the SENSEable City Lab and artist and engineer Natalie Jeremijenko, Associate Professor at NYU. This will be a uniquely creative and intellectual evening. An architect and engineer by training, Carlo Ratti practices in Italy and teaches at the Massachusetts Institute of Technology, where he directs the Senseable City Lab. Ratti has co-authored over 200 publications and holds several patents. His work has been exhibited worldwide at venues such as the Venice Biennale, the Design Museum Barcelona, the Science Museum in London, GAFTA in San Francisco and The Museum of Modern Art in New York. His Digital Water Pavilion at the 2008 World Expo was hailed by Time Magazine as one of the Best Inventions of the Year. Ratti was a presenter at TED 2011 and is serving as a member of the World Economic Forum Global Agenda Council for Urban Management. He is a regular contributor to the architecture magazine Domus and the Italian newspaper Il Sole 24 Ore. He has also written as an op-ed contributor for BBC, La Stampa, Scientific American and The New York Times. Jeremijenko is an Associate Professor in the Visual Art Department, NYU and affiliated with the Computer Science Department and Environmental Studies program. Previously she was on the Visual Arts faculty at UCSD, Faculty of Engineering at Yale University, a visiting professor at Royal College of Art in London, a Distinguished Visiting Professor in the Public Understanding of Science at Michigan State University, and a Visiting Global Distinguished Professor at they NYU College of Arts and Sciences. Her doctoral studies include biochemistry, engineering, neuroscience and History and Philosophy of Science. Jeremijenko’s practice develops the emerging field of socio-ecological systems design (or xDesign) crucial in the Anthropocene using attractions and ongoing participatory research spectacles that address the C21st challenge to reimagine our collective relationship to natural systems. Co-sponsored by The Irwin S. Chanin School of Architecture and the MIT Club of New York. This event is free for students, faculty and staff of the Cooper Union, with valid ID. All others must register for the event through the MIT Club of New York website.